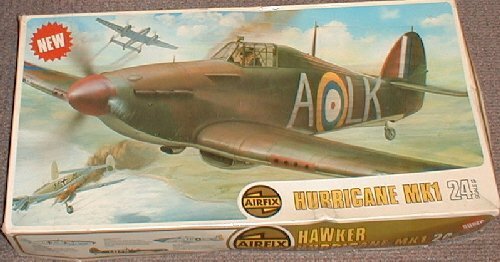 An obvious follow-up to the previously released Super Kits, this model of Hawker's famous Hurricane eight-gun fighter captures fully the aggressive hump-backed look of the original. There are over 250 parts in the exceptionally detailed cockpit with readable instruments, the two four-gun bays with their ammunition boxes and feeds, the realistic Browning machine guns, and the finely detailed Merlin engine with removable access panels. Optional markings are provided for two 'Battle of Britain' aces aircraft and the kit may be motorised.